News coverage of the Middle East is frequently predictable. Each time a plan to expand settlements in occupied Jerusalem is announced, the media reports about heightened "tensions" between Israel and the West. It would all be quite tedious, if it were not for the occasional twist - like when an unnamed official calls Benjamin Netanyahu a "chickenshit". Recent history indicates that the "tensions" tend to be superficial. In 2010, Hillary Clinton - then secretary of state - described Israel's latest plans for Jewish-only colonies as an "insult to the United States". The Obama administration recovered from the insult with remarkable speed. Soon, it was showering unprecedented levels of aid on Israel. In 2009 - the year Barack Obama took office - Israel received $2.5 billion in US "foreign military assistance ". This year, it has been allocated $3.1 billion. Such aid has contributed directly to the dispossession of Palestinians in East Jerusalem. Between 2000 and 2009, the Washington authorities approved the delivery of "riot control" weapons worth $20.5 million to the Israeli military. Residents of Silwan, a neighborhood nudging Jerusalem's old city, have amassed a collection of tear gas canisters marked "made in the USA". Israeli forces routinely fire that vile gas when Palestinians protest at how their homes are being stolen by settlers. Some American firms and individuals have invested in those Israeli settlements that left Hillary Clinton so discomfited. The Israeli subsidiary of RE/MAX, a US real estate giant, sells and rents out property in at least five East Jerusalem settlements. As the buildings are exclusively reserved for Jews, RE/MAX can be considered a profiteer of apartheid. Irving Moskowitz, a casino and bingo tycoon in California, has owned the Shepherd Hotel in East Jerusalem since 1985. Dating from the 1930s, it was the residence of Haj Amin Husseini, Jerusalem's grand mufti. Over the past few years, Moskowitz has allowed Israel demolish part of the complex to make way for Jewish-only apartments. By doing so, he has enabled the erasure of Palestinian heritage. can be handed over to settlers. The settlements which Moskowitz supports are illegal under the Fourth Geneva Convention, which forbids an occupying power from transferring its civilian population into the territory it occupies. If Moskowitz was openly bankrolling the mafia or other criminal organisations, he would more than likely be prosecuted. Yet he and his wife Cherna are contributors to the Israel Allies Foundation, a lobbying outfit with branches within both the US Congress and the European Parliament. Israel Allies was founded by the right-wing politician Benny Elon; then a government minister, Elon joined a 2003 mob attack against Palestinians in East Jerusalem. Federica Mogherini, the EU's new foreign policy chief, seems to be weighing her words carefully; her response to the latest expansion of Israeli settlements in East Jerusalem was timid. She went no further than to describe the announcement as "yet another highly detrimental step which undermines the prospects for a two-state solution." If EU representatives were really dismayed about ethnic cleansing in East Jerusalem, they would cease cooperating with Israeli institutions that are active there. The Hebrew University of Jerusalem took part in more than ten projects financed as part of the EU's science programme between 2007 and 2013. 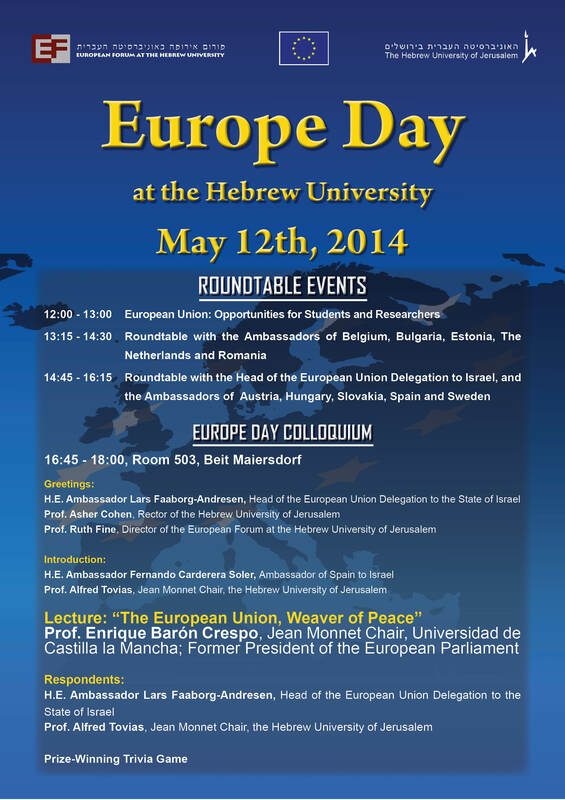 Active, too, in the Erasmus student exchange scheme, the Hebrew University has been known to host promotional events at which EU diplomats express their desire to deepen the Union's relationship with Israel. To express its gratitude for that friendship, the university gave an honorary doctorate to José Manuel Barroso in the final months of his stint as European Commission president. Although the EU made a general commitment in 2013 to stop subsidising colleges or firms based in East Jerusalem or the wider West Bank, it has decided to make an exception for the Hebrew University. The Union's reasoning for doing so was spurious. The Hebrew University has a campus on Mount Scopus. Although geography tells us that is part of East Jerusalem, the EU has decided that it belongs to Israel because of an armistice agreement from 1949. That distinction is morally dubious. Zionists began a process of destruction and displacement against Palestinians in the 1940s. The Nakba (catastrophe), as that process is known, continues today with the uprooting of Palestinians in East Jerusalem, the suffocation of the wider West Bank and the periodic bombardment of Gaza. The rationale for continuing to allocate grants to the Hebrew University ignores, too, how its campus has been encroaching into the neighbouring Palestinian village of Issawiyeh. Israel's national police headquarters, meanwhile, are located in occupied East Jerusalem. That hasn't stopped Europol, the EU's police agency, from liasing with Israel in operations against drugs. During September, Israel took part in Europol's annual gathering for senior police officers in The Hague. Young Palestinians have lately destroyed part of the light rail system serving Israeli settlements in East Jerusalem. That tramway is a symbol of Western duplicity. No amount of rhetoric from Brussels can conceal the fact that European firms have built this tramway. One of these companies, Veolia has rightly been the target of an international campaign that has caused it to lose numerous municipal contracts around the world. Yet EU officials have conferred an unmerited respectability on Veolia by attending business conferences that it has sponsored in Tel Aviv. The Paris government has celebrated how Veolia has been France's number one investor in Israel. If the West is really insulted by Israel's colonisation of East Jerusalem, then it has ample scope for action. The US could halt arms exports to Israel. And the EU could revoke the trade privileges it has accorded to Israel - after all, those privileges were always supposed to be conditional on respect for human rights. For strategic and political reasons, neither Europe nor America wants to punish Israel. So long as they refuse to do so, their professions of concern about East Jerusalem will ring hollow. •First published by Middle East Eye, 7 November 2014. Words can lose their meaning when Tony Blair speaks. Collecting his "philanthropist of the year" award from GQ magazine, Blair recently said he could feel the "pulse of progress beating a little harder." Judging by the pronouncements he has made as a Middle East "peace envoy," Blair's definition of "progress" appears different from the standard one. In 2010, Blair hailed a tiny easing of Israel's siege on Gaza as a "significant change." The following year he praised Hosni Mubarak, the Egyptian dictator who facilitated that siege, as a "force for good." And earlier this month, Blair claimed that John Kerry was "absolutely tireless" in his efforts to promote peace, conveniently forgetting that the US secretary of state had publicly endorsed Israel's attack on Gaza during the summer. Those attempts to pervert language are more brazen than one I found on the website run by Blair's office in Jerusalem. A "rule of law program" involving the Blair team aims to help the Palestinian Authority (PA) "expand the scope of its legal and security footprint" in the occupied West Bank. In order to achieve that goal, the team is "lobbying" Israel to "reduce military incursions" into the towns and cities where most Palestinians in the West Bank live. Collectively known as Area A, these towns and cities are theoretically controlled by PA from a "security" perspective. Blair and his team are also pressing Israel to "allow for the expansion of PA legal and security infrastructure" into Area B, which is under Israeli military control. And they want Israel to let the PA use roads -- "transportation networks" as they call them -- reserved for the exclusive use of Jews in Area C, the 60 percent of the West Bank that includes Israel's settlements. Despite the jargon, there is something instructive about the choice of words here. By pushing for Israel to "reduce military incursions" Blair's team appears to be implying that Israel has a legitimate right to undertake some military activities on Palestinian land. I contacted Blair's office, seeking clarification. A spokesperson replied that Blair's team operates "under a technical mandate" stemming from the Oslo accords. Part of the "mandate" covers security coordination, yet "beyond that, we do not comment on the legitimacy of certain actions," the spokesperson added. That refusal to comment amounts to acquiescence. Tony Blair and his team accept that Israel may attack the main Palestinian towns and cities. They would just prefer it if Israel did not do so too often. Elsewhere in the West Bank, Blair is asking Israel to throw a few crumbs of charity to the Palestinians. If Israel allows a few Palestinian police stations to open and a few Palestinian squad cars to drive on its apartheid roads, then Blair can rest assured that the pulse of progress is beating a little faster. Blair's bias can also be detected in the latest annual report from his office. 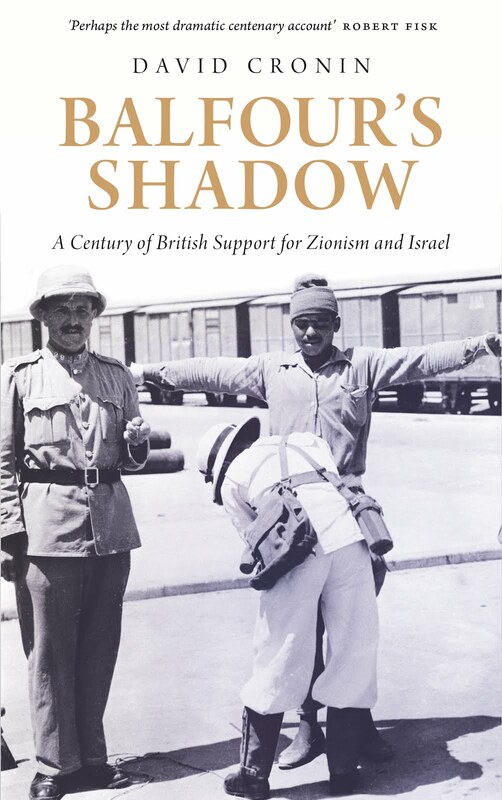 In his preface, Blair notes that "the kidnapping and murder of three Israeli teenagers and an extensive Israeli army operation in the West Bank" this summer. The bureaucrats for whom Blair's summary was intended would have to consult other sources to be reminded of what the "extensive" operation entailed. Blair made no reference to how Israel killed 45 Palestinians -- among them nine children -- in the West Bank between January and mid-September. Furthermore, Blair didn't seem to think it noteworthy that Benjamin Netanyahu's government used the murder of the Israeli teenagers as a pretext for a wave of collective punishment against Palestinians. More than 2,350 Palestinians were arrested in the West Bank between June and September; hundreds of them were held without charge or trial -- administrative detention in Israel's parlance. Blair was similarly blasé about the massacres Israel carried out in Gaza in July and August. His report merely referred to a "conflict" that "resulted in widespread fear, destruction and loss of life." I find it hard to believe that Blair is "lobbying" Israel in any real sense. That is because Blair has long been part of a lobby that supports Israel, rather than pressing for an end to its criminal behavior. As a newly-elected member of Parliament in 1983, Blair joined Labour Friends of Israel, a Zionist group within his political party. He has professed his love for Israel ever since then. Last year, he called Shimon Peres -- a fellow war criminal who approved an infamous attack on a UN shelter in Lebanon --- one of Israel's "great thinkers." Tony Blair's office is funded by three main donors. Between 2007 and 2013, the US provided it with $13.5 million. The European Commission was in second place with almost $10 million; Norway third with $3.7 million. Blair isn't paid for his job as "peace envoy" -- his formal title is "quartet representative" as he belongs to a club comprising of the US, European Union, the UN and Russia. Yet he does have his meals and accommodation covered. For much of that period, Blair stayed in the American Colony, a luxurious hotel in occupied East Jerusalem. Like many others, I find it obscene that a man who helped launch the invasion of Iraq masquerades as a peace envoy. Even if Blair isn't drawing a salary for that work, it is unacceptable that he can still dine at the taxpayer's expense. I agree fully with the campaign to have Blair sacked as "peace envoy" -- indeed, I have gone further and tried to arrest him for war crimes. Once he is sacked, he should be required to reimburse us for every cent that was spent on his food and lodging. If that happens, then the pulse of progress will genuinely beat a little faster. •First published by The Electronic Intifada, 5 November 2014.